Unlimited mailing lists Atomic Subscription Manager can manage as many mailing lists as you want. Invisible operation 24/7 You create your projects and rules once and they work ever since. The program can be set to start when you launch your PC. So your mailing list will be always up-to-date. Fast and easy mailings You can launch Atomic Mail Sender any time for mailing to the lists in the projects. 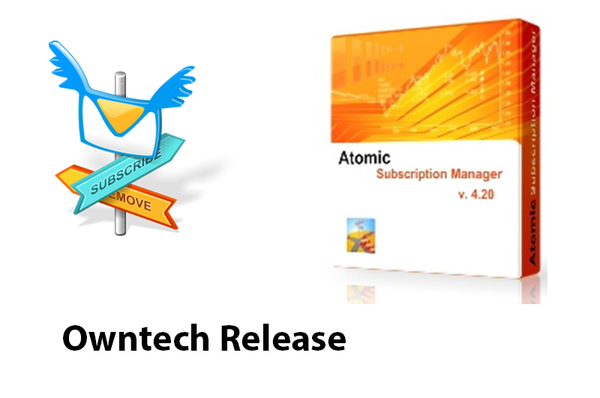 Multitude of mail list management options Atomic Subscription Manager can use list management instructions. You can use a popular method of sending a subscribe/unsubscribe request to a mailing robot or alternatively, use web forms and processing scripts on your website. Most operations take a dew seconds even for large lists. The program is fully compatible with Atomic Mail Sender and other Atomic products.